Auto club southern California good roads badge. Accelerator and dimmer switch covers. $29.00 shipped in the USA. 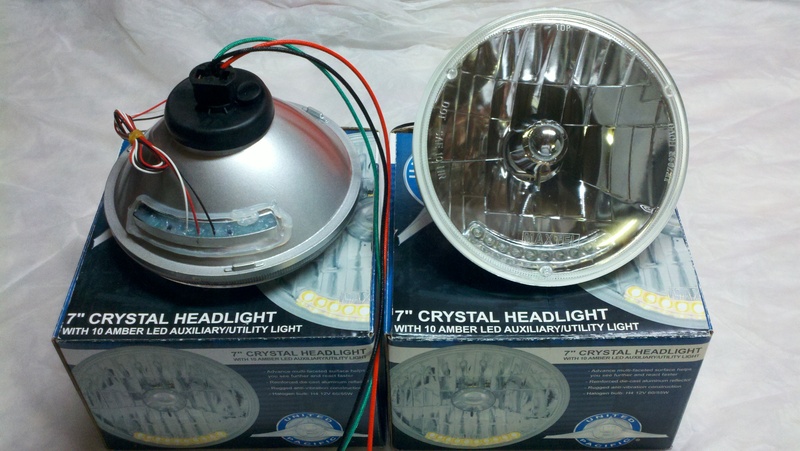 7" crystal headlight (glass lens) with 10 amber LED auxiliary/utility light. May be wired for parking and turn signal. Halogen bulb included H4 12V 60/55W. Check your local laws before purchasing. 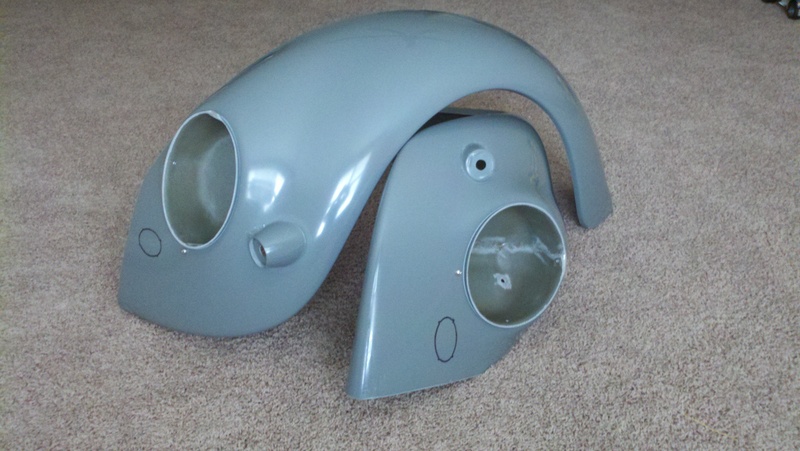 Will fit early and late headlight assembly's. 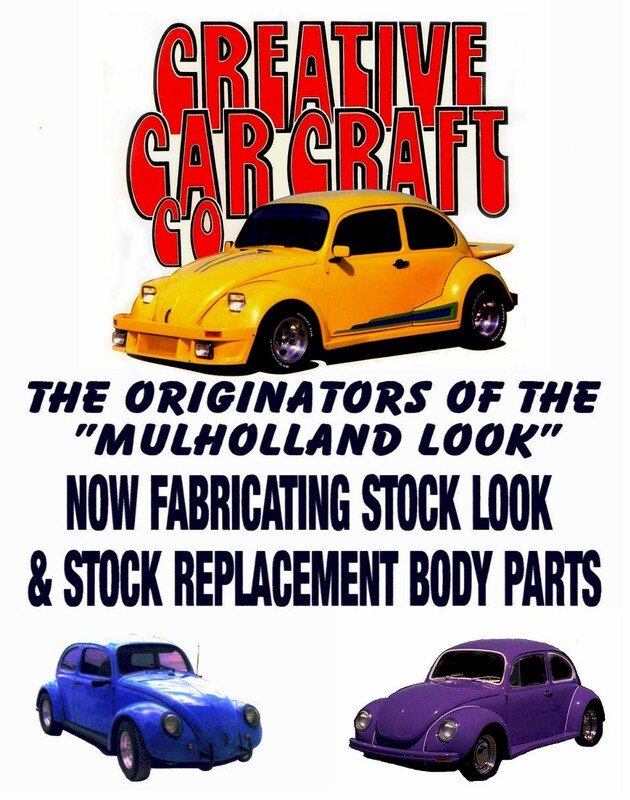 New from Creative Car Craft Company. Stock width Bullet front fenders. 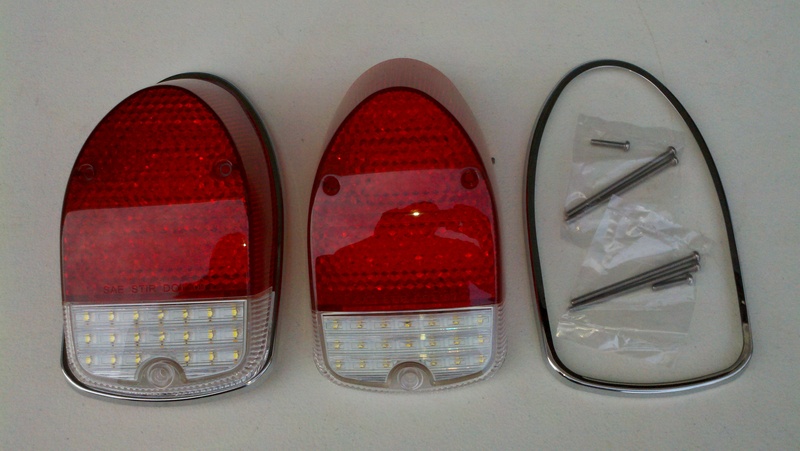 for three function running/stop/turn tailights, 20 super bright white LED's for reverse lights. Includes stainless steel trim and mounting screws. Easy electrical hook-up with male push-on terminals. Turbocharged and Pro Street emblems.